Tenants live in unsafe conditions for fear of retaliatory eviction. Under Section 11 of the Tenant and Landlord Act, renters are legally bound to report problems and issues to their landlord. Failure to take good care of the property can result in costly repairs for tenants and they can also face legal eviction as a result of their negligence. It is therefore unjust that rogue landlords are getting away with increasing their rent without notice or serving Section 21 Notices to tenants who are literally meeting their legal obligations by reporting issues and problems. The majority of tenants pay their rent on time and take care of the Landlord’s property because they consider it their home. The majority of landlords act professionally to meet their legal requirements and allow tenants to live in quiet enjoyment of their property. However, when problems arise and formal requests for repairs are made, there are landlords out there who would rather replace the tenants than that faulty boiler. Retaliatory rent increases and eviction notices are the rogue landlord’s standard response to such requests leaving many renters too scared to report issues. The high cost of moving prevents tenants from seeking better properties while families in particular are reluctant to move once children are settled at school. It is not surprising that many tenants feel trapped and at the mercy of a system that fails to protect their rights. Those facing retaliatory eviction are often left vulnerable and desperate to move in order to avoid homelessness. With the current housing crisis and lack of regulation it can be a sideways step with the same problems occurring in the next tenancy. With 9 million renters in England alone, and an increase in the number of people renting as opposed to buying, the housing charity Shelter reports that as many 200 000 renters fear eviction if they ‘complain’ to their landlord. To counter this problem, Shelter have recently launched a campaign to ask the government to put restrictions in place so that landlords with homes in bad condition can’t use a section 21 notice to evict renters who complain. People are being encouraged to share their stories on the Shelter website and sign a petition to create stability and improve the system. When signing a tenancy agreement, renters become legally bound to report problems and issues to their landlord. Failure to take good care of the property can result in costly repairs for tenants and they can also face legal eviction as a result of their negligence. 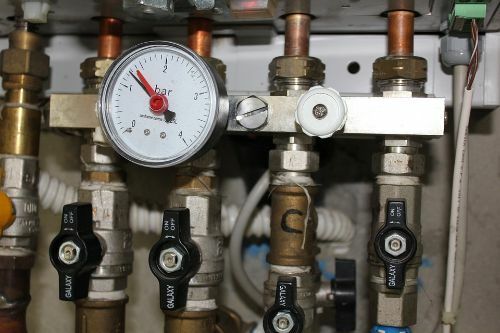 Section 11 of the Tenant and Landlord Act clearly states that the responsibilities of the landlord are to maintain the exterior of the property, ensure that gas, electricity and water supplies and all sanitation installations are in good working order, to maintain heating systems, and keep in repair the structure and exterior of the dwelling-house. It is therefore unjust that rogue landlords are getting away with increasing their rent without notice or serving Section 21 Notices to tenants who are literally meeting their legal obligations by reporting issues and problems. No longer should people be forced to pay rent while living in dangerous conditions or for housing that is in disrepair. The notion that tenants are complainers must be addressed and it is high time that landlords who refuse to act legally, ethically and responsibly are held to account. The rental sector is more than just big business; it is stability for those who rent and investment for those who provide much needed stability. The system must be fair for all.